ROAD TOWN, Tortola, VI - Premier and Minister of Finance, Honourable Andrew A. Fahie (R1), has begun to expose the National Democratic Party (NDP) government over its expenditure of the Territory’s resources, funding projects for political gains during the 2019 General Election season. 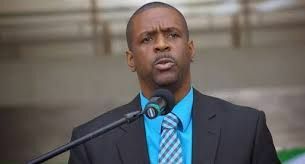 Speaking on the recent Honestly Speaking radio talk show with host, Mr Claude O. Skelton Cline, Premier Fahie addressed issues pertaining to the Territory’s 2019 fiscal budget—due no later than April 30, 2019. The Premier divulged that since taking office, he was shocked at the discovery that aspects of the loan guarantee (from the United Kingdom [UK] ) are tied into the territory’s fiscal budget. “Its’ multi-pronged now because it’s not only based on the cycle with the MTFP but it’s also based on the loan guarantee...So all of that is tied in,” he said while explaining the budget cycle. According to Premier, his administration now has to look at what they are faced with since taking office and decide how best to deal with. The previous government which was led by the NDP, under the Premiership of Dr the Honourable D. Orlando Smith, had led the bargaining with the UK for the loan guarantee, securing some $400M, for major rebuilding projects for the Territory following the 2017 devastating hurricanes and floods. The UK’s loan however, was approved with several ‘strings attached’ including the setting up of the Recovery and Development Agency (RDA), an institution which will have the oversight and control of the loans. According to Premier Fahie, the situation represents a significant challenge for the incoming government, “but we have methods of dealing with it but it’s going to take a little while is one thing to see the books saying." Fahie like he still in campaign mode. Like he can't swallow he actually won the elections. He's us now Premier and need to act as such and cut out this child like mentality. Governments after governments (including VIP) has over the years unleashed projects close to elections. Fahie said his team was ready but it appears they are not. We can build the bvi back by ourselves, littke by little! You did day yiu are an unconventional government. You can say anything. We want to see the evidence. We not trusting the talking no more exbits a-z please and thank you. This 50 million supposedly spent on elections projects what where they? Ayo really F this country up Mehson. What in the world did the people do to ayo to frighted us like this. Fahie have a load on his hands to fix what mayo ms do. To think people sit down and voted ndp in and still you had plans to kill us. Set a sick F .
touch you.you all are in the outside looking in.. he’s on the inside seeing all..
Andrew It is time to stop grand standing and get the people’s work done,What is new about anything that you are saying.The VIP Government did the same thing.let us move on. Sounds familiar from 8 years ago. I applauded the Hon. Premier for his approach that he is using to sift through the books and inform the public of the findings. With all the monies the NDP spent with bill boards and advertisements they loose the election. God is in control. All that is needed to do now is let us move forward and God will do the rest. Frankly speaking there is an atmosphere of transparency is the new Premier. Looking at the House of Assembly meeting I saw Hon. Fahie pleading with Dr Smith for explanation on the spending of government's money and Dr Smith babbled his way, however, the voters were watching and he could not fool them. That is why we had a change. Mr Simpleton needs to stop drumming the same worn out beat and do what he volunteered for. This beat is tired. What Mr Simpleton needs is a lawsuit demanding proof if his worn-out repetitive never proven accusations. Sick ah he dim wittle self. Enuff already. The NDP blew the ~$300M authorized and appropriated maintenance and operations and capital budget plus ~$50M excess revenue, leaving the Treasury dry. . Wow! What was the money spent on and what is there to show for it? Hon Premier, the findings in the Ministry of Finance is very likely to be present in other ministries as well. Stop the busy as a bee activity. This village idiot and town crier has and is advocating that you proceed with deliberate speed and call a territory-wide standdown and conduct a government-wide assessment to ascertain what condition the territory is in. Without it, government will be shooting in the dark, operating without a compass…….etc. Understand the haste to be quick out of the blocks but haste makes waste. Yes, the electorate wants to see quick change. But there is an obligation to be responsible and do the right things. Address the territory on your findings and the need for a standdown and their patience and understanding. Tell us, is the territory broke? 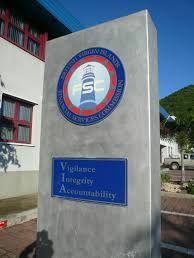 It appears that the previous government secured a financing vehicle to substantially rebuild the BVI. After the August Monday Floods in 2017 , the Category 5 Hurricanes Irma and Maria, the BVI lacked the financial capacity, as a government to rebuild critical of infrastructure. There is no goose to lay golden eggs. So the money has to be borrowed and in some time at underwritten by a guarantee. Former Premeier Smith secured $400 to begin the rebuilding and recovery of the BVI. The current Premier Fahie needs to organize his government to prioritize the projects to be done to best leverage this loan to jump start the economy. He as an opportunity to lead. Nothing is free. It’s time to get to work! Whatever monies spent on projects before the election by the previous government was spent on the Territory. The monies didn’t go into anyone’s private property. So let’s just get to work! Time is of the essence and Hurricane Season is around the corner.